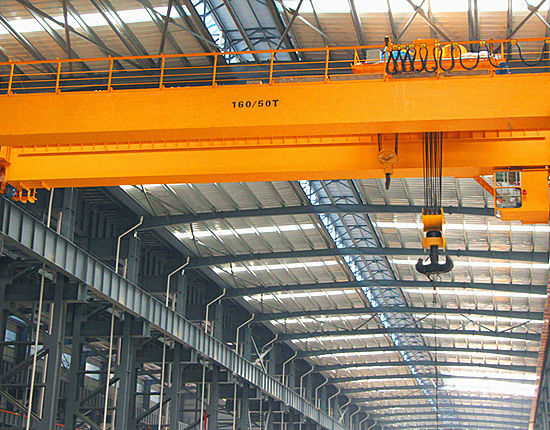 Electric overhead travelling crane is one of the most commonly used overhead cranes, and it is also called eot crane for short. As the name shows, eot crane is operated by electric, usually with an operator cabin or a control pendant. It is applicable to transfer, assembly, load and unload goods in warehouse, workshop of mechanic processing and metallurgical mills, power station, etc. 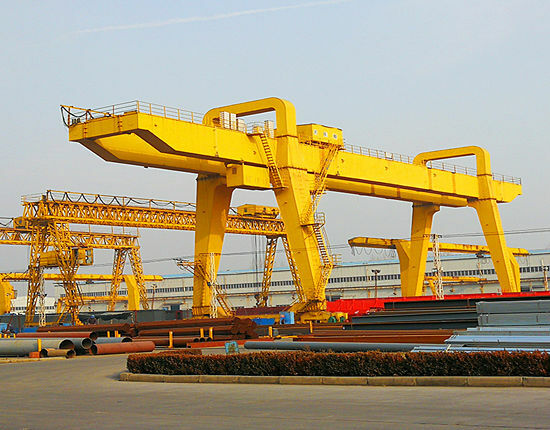 This equipment can be divided into two types: single girder eot crane and double girder eot crane. 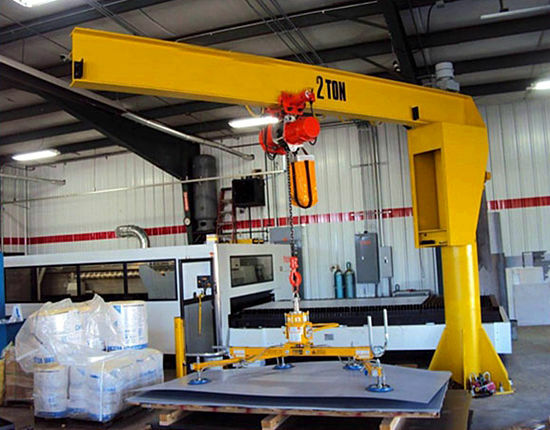 Introducing the lasted technology, electric overhead traveling crane has become the most competitive equipment in the crane market with lots of unbeatable advantages. Ellsen has rich experience in manufacturing eto crane and also provides nonstandard design according to customer’s requirement. 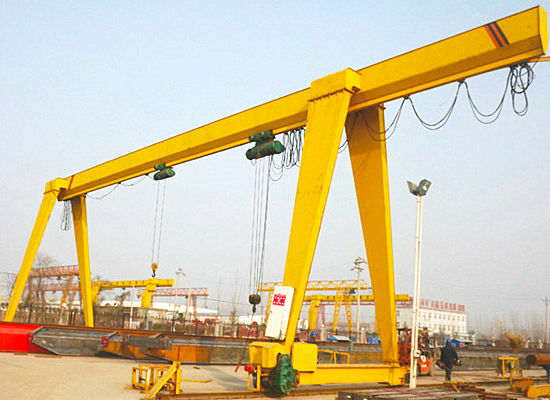 This kind of eot crane has small size, light weight and wheel pressure. 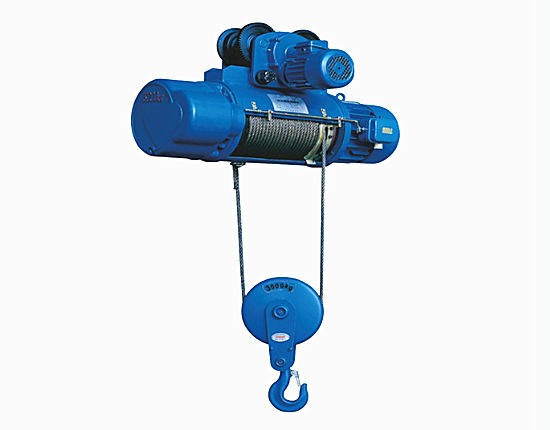 It is equipped with electric hoist which has the advantages of low noise, light weight and high configuration. The motors and electrical components all come from international famous brands like ABB, SEW, Schneider, and Siemens. 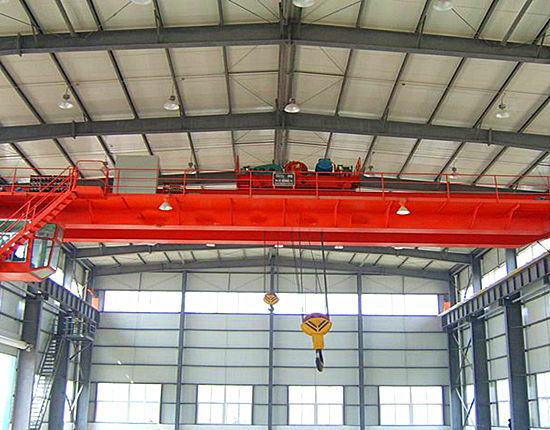 Due to its compact structure and advanced design, the equipment is preferred among numerous overhead cranes. 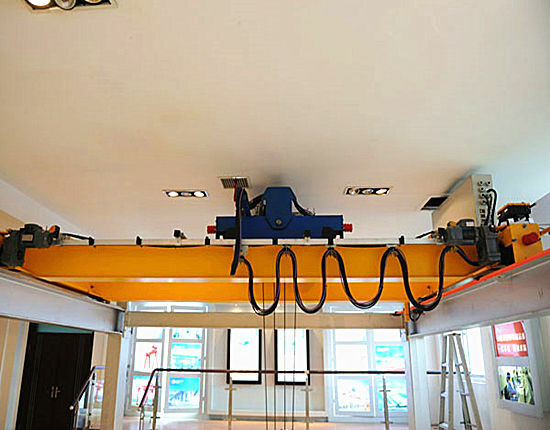 Compared with traditional crane, this equipment has lower clearance, higher lifting height, and small boundary dimensions which mean the minimum distance between the hood and the wall, effectively increasing the working space. 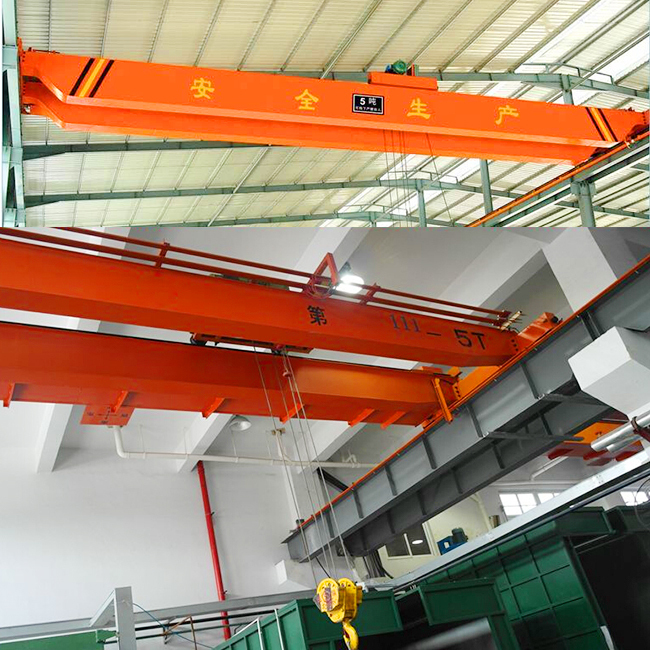 Being the same with common overhead crane, eot crane has simple structure and easy operation, and with high quality components and advanced design, and it can achieve a superior and durable performance. 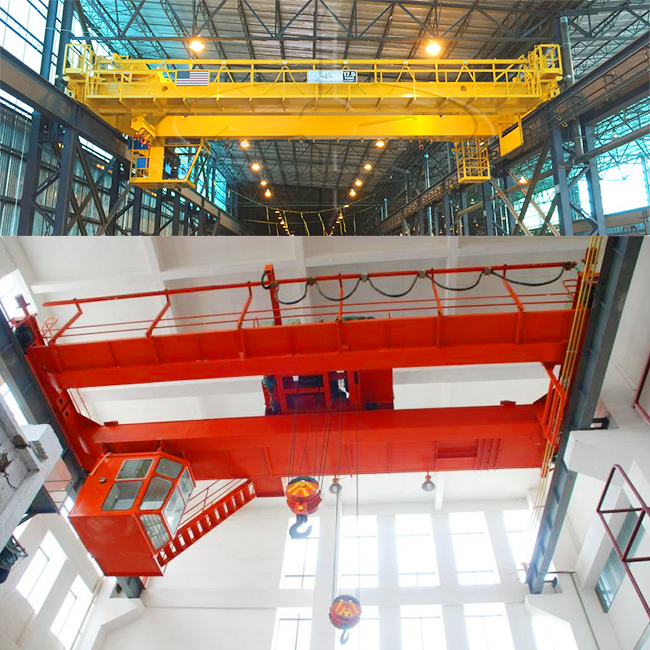 Thanks to structural advantages of eot crane such as small size and light weight, the investment in plant construction and other facilities like heating can be reduced. Besides, due to its high performance, the maintenance cost and energy consumption can be greatly decreased, thus saving the costs. 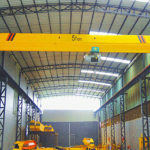 As an essential lifting equipment in the market, the overhead crane safety is of great importance. However, accidents still occur frequently during the operation, so reducing or eliminating safety accidents is still daunting. In daily work, operators should strictly follow the operation rules and carry out routine maintenance. Besides, Ellsen has several designs to ensure high security. Set overload limiter monitoring system. The monitoring system is equipped with overload limiter so that it can show the real-time load value. Once overload, it will warn operators. Adopt automatic detection system. The controller will conduct a self-test before starting, to check the voltage value, safety protectiondevice and the status of buttons. Use limit switches. Specifically speaking, when the hook is approaching theupper and lower limits, a warning will be sent, and when it reaches the limits, the power will be cut off automatically so as to stop the crane. 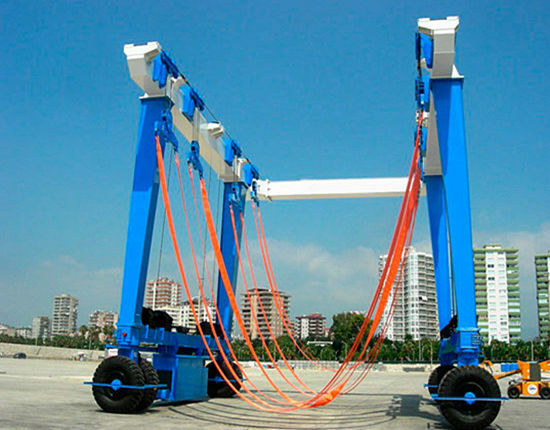 The lifting device adopts double limits to ensure safety. Use high quality wire rope. 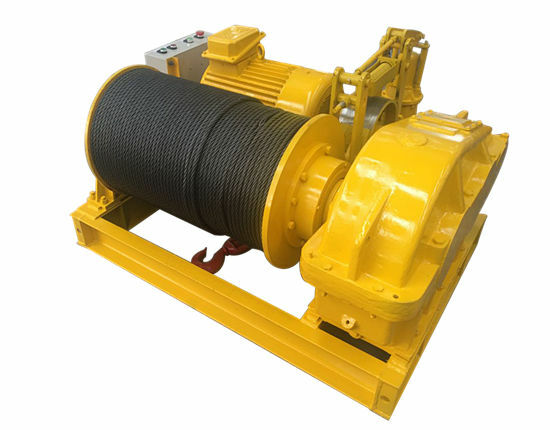 The wire rope is imported from foreign well-known brands, and its safety coefficient is not less than five. Motor and reducer are imported from Germany. The motor has functions of over-heating protection and warning, and also has excellent heat dissipation. The reducer has good sealing which can preventthe lubricating oil leaking. Electrical components are chosen from well-known brands such as ABB and Siemens, and the protection level of electric control box is not lower than IP54. The wheels are forged with 65Mn, which have good wear resistance and long service life. The eot crane installation should be carried out in strict accordance with the rules and order of the specification. Besides, we have a professional technical team with several engineers to provide the equipment installation guide service and training. 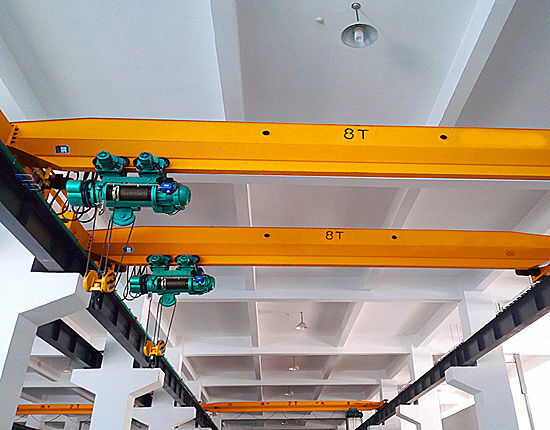 For different types of cranes, they have different installation methods, so before installation, workers should understand the structure, parameters, and installation site of the crane. During the installation, they should be careful and wear helmet and belt seat for safety. The installation work should be done under professional guidance. Eot crane maintenance is indispensable in daily work for that the crane failure may directly affect the safety of workers and the equipment. A routine maintenance for hook, wire rope, reducer, brakes and other components should be done, especially the hood is the most frequently used device in the crane operation, and it bears all the loads. Once the hook gets damaged or broken, it may cause a serious accident. Therefore, the maintenance staff must be careful during inspection and solve the problems in time. Ellsen has been engaged in manufacturing electric overhead travelling crane for more than ten years, during which we have introduced advanced domestic and foreign technology, and set up a technical team with dozens of middle and senior technical talents. In our factory, we also introduce a number of advanced processing equipment, which lays a solid foundation for manufacturing high quality products. 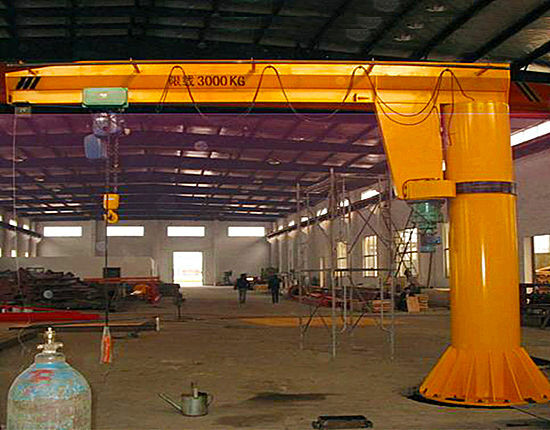 Apart from overhead crane, we manufacture jib crane, gantry crane, electric hoist and winch products for your choice. 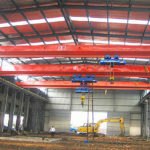 We also provide customized crane and solution according to customer’s requirement. We have formed a powerful marketing network integrating sales and service so that clients around the world can come to understand our products and service timely and comprehensively. We also constantly train our salespersons and improve their service consciousness. Our purpose is to guarantee a perfect pre-sale, sales tracking, after-sale service system and serve our customers with heart. 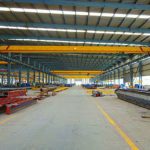 If you are interested in electric overhead travelling crane, please contact us via email or online, and we will offer a suitable solution to you!